See and Learn Speech is an evidence-based program designed to help children with Down syndrome develop spoken language skills and clearer speech. See and Learn Speech is designed to teach children with Down syndrome to hear and produce speech sounds (phonemes), to hear the differences between sounds (discrimination), to develop their speech sound system (phonology), and to produce clear speech. It can also help children to identify sounds in words (phonological awareness) which is important for reading. See and Learn Speech is based on what is understood about how typically developing children learn to say words and what we know about the speech difficulties of children with Down syndrome. Speech and language development are inextricably linked and improving speech skills should benefit word and sentence learning and using spoken language to communicate. 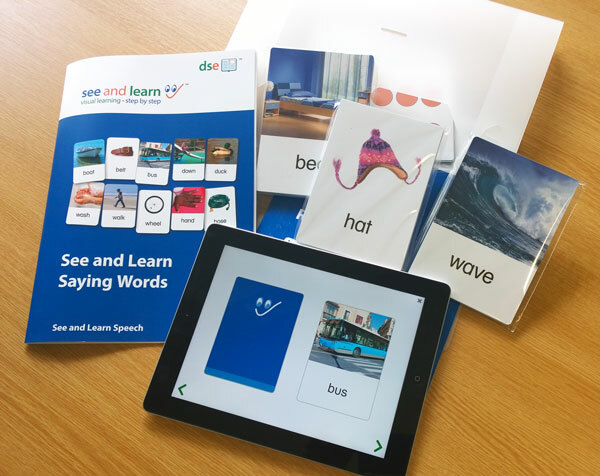 See and Learn Speech is designed to be used alongside See and Learn Language and Reading, which supports the teaching of vocabulary and grammar and introduces children to reading. Many children with Down syndrome will learn the meaning of new words more quickly than they learn to say them clearly. We therefore recommend that activities to develop and practice spoken language are provided in addition to activities to teach vocabulary and grammar. Slower progress in learning to speak should not prevent opportunities to continue learning new language skills. See and Learn Speech currently includes five steps, with two further steps planned. 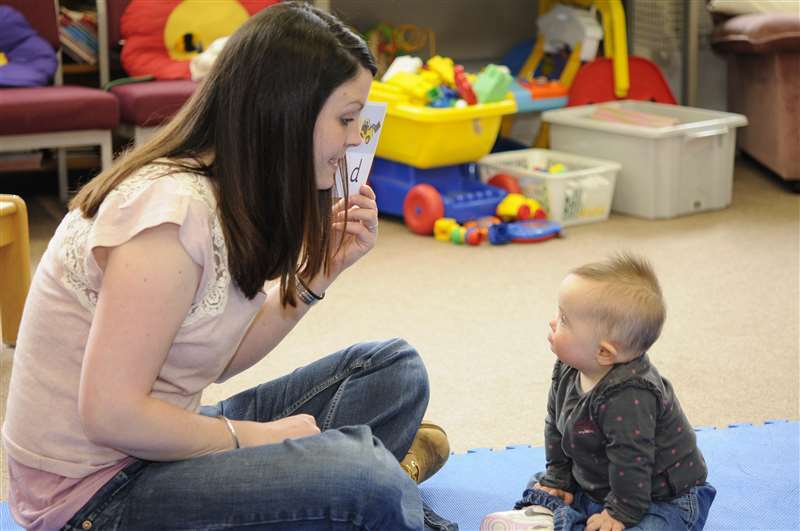 Each step focuses on the development of specific speech skills through a series of activities. Subsequent steps build on the skills learned in previously completed steps. The activities are intended to complement the many speech development opportunities that occur naturally throughout a child's day. See and Learn Speech is designed to support speech development for babies and children with Down syndrome from 6 months of age through to primary/elementary school years. See and Learn Speech may also be helpful for other children with similar speech, language and learning needs. 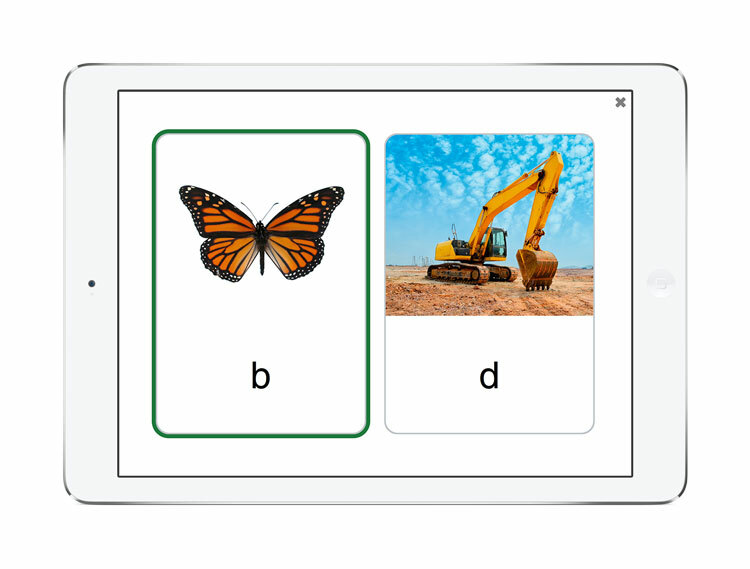 The steps in See and Learn Speech available as kits and as apps for a variety of platforms.